The national museum Galleria Borghese is situated in the landscape garden Villa Borghese. The Galleria contains paintings and works from world famous artists such as Titan, Caravaggio, Bernini, Caravaggio, Veronese and Rubens. The museum has a ground floor and a first floor. 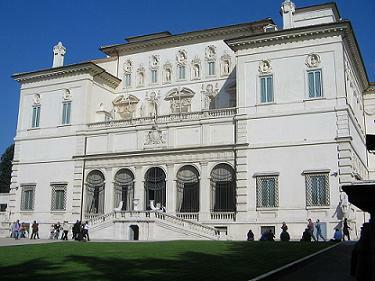 In the past the family Borghese was the owner of the villa and the art collection. Since 1903 the gardens and museum are national property of Italy. The official website is in Italian and Spanish language. – Free admission for everybody on the first sunday of each month. Ticket reservation is required for all tickets. Tickets with free admission also have to pay a reservation fee. Cancellations or change of tickets is not possible. The museum has a maximum of 360 visitors. After two hours all visitors must leave the museum. Then the next group visitors will enter the museum. Make your reservation in time otherwise you have the risk that there are no tickets. Collect your tickets 30 minutes in time. If you collect your tickets just in time there might be a chance that the tickets are sold to other visitors. Mobile telephones must be turned off and all luggage and camera’s must be stored in the wardrobe. Large bags and suitcases are not allowed in the wardrobe. Metro station Spagna is on top of the Spanish steps. The main entrance of the garden ‘Piazzale Flaminio’ is closeby to the metro station. 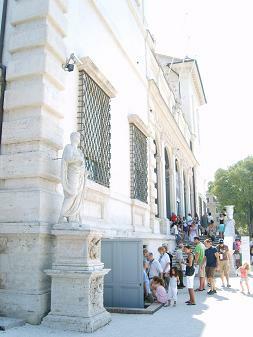 About 20 bus lines go into the direction of garden Villa Borghese.